Flourish, the new book of Dr. Martin E.P. Seligman, will be published in March 2011. Being from the same author of “Authentic happiness: using the new positive psychology to realize your potential for lasting fulfillment” and “Learned Optimism”, this is likely to become one of the most influential books of this decade. Over a decade ago, Martin Seligman charted a new approach to living with “flexible optimism.” Now, in his most stimulating and persuasive book to date, the bestselling author of Learned Optimism introduces the revolutionary, scientifically based idea of “Positive Psychology.” Positive Psychology focuses on strengths rather than weaknesses, asserting that happiness is not the result of good genes or luck. Seligman teaches readers that happiness can be cultivated by identifying and using many of the strengths and traits that they already possess — including kindness, originality, humor, optimism, and generosity. By frequently calling upon their “signature strengths” in all the crucial realms of life, readers will not only develop natural buffers against misfortune and the experience of negative emotion, they will move their lives up to a new, more positive plane. Drawing on groundbreaking psychological research, Seligman shows how Positive Psychology is shifting the profession’s paradigm away from its narrow-minded focus on pathology, victimology, and mental illness to positive emotion, virtue and strength, and positive institutions. Our signature strengths can be nurtured throughout our lives, with benefits to our health, relationships, and careers. Known as the father of the new science of positive psychology, Martin E.P. 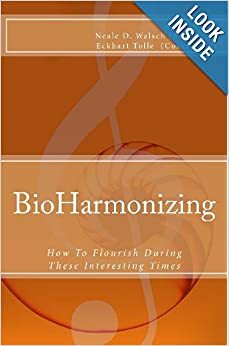 Seligman draws on more than twenty years of clinical research to demonstrate how optimism enchances the quality of life, and how anyone can learn to practice it. Offering many simple techniques, Dr. Seligman explains how to break an “I—give-up” habit, develop a more constructive explanatory style for interpreting your behavior, and experience the benefits of a more positive interior dialogue. These skills can help break up depression, boost your immune system, better develop your potential, and make you happier..